SU Q/ISP, Q/IAP, Q/SSE, Q/WP & Q/CND Certificate Programs of Mastery lead to qualified preformance based cybersecurity skills. Earning a SU Certificate Program of Mastery is a way for you to earn non-degree credits in a structured, discipline-specific way. A SU Certificate of Mastery prepares you to advance in your career, gain the extra knowledge needed to stay competitive and up-to-date in cybersecurity. Completion of a SU CyberSecurity Certificate Program of Mastery demonstrates evidence of specialized cybersecurity education achievement with hours of practicum preformance based skills validated by peers, not just an exam. 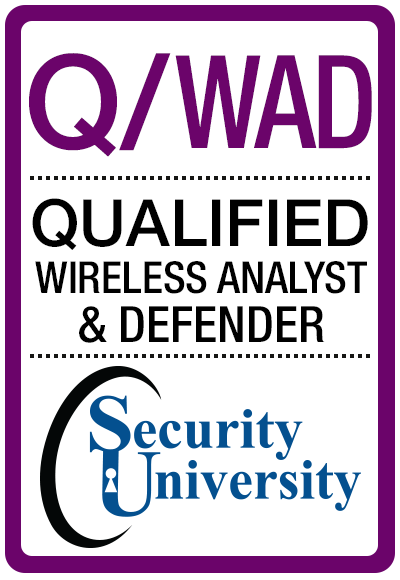 Recognized by Security University, accredited by MSA- CESS and NSA- CNSS 4011, 4012, 4013A, 4015, 4016A (expiring 2018). There are many fields that have professional certifications that may be recommended or required (teaching, project management, accounting). A cybersecurity certificate program of mastery does not lead to a professional certification. Yes, the courses you take in a certificate program could help you prepare to earn a professional field-specific certification, but earning a certificate is not the same as becoming certified. Its much more, it indicates completion of a course or series of courses with a particular focus. 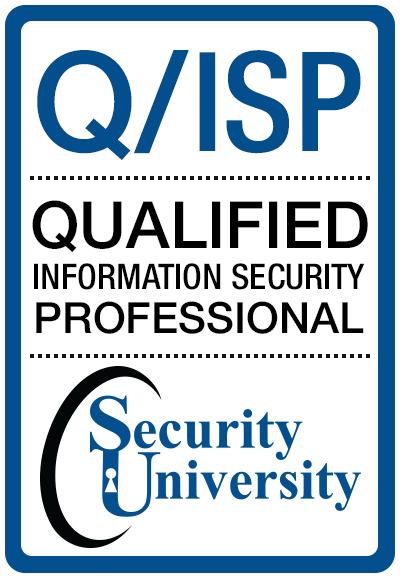 Certificate Program of Mastery - Q/ISP® Qualified/ Information Security Professional (CPoM) 7 weeks of instructor led classes and Q/ISP exam $11,000. SU’s innovative and intense cybersecurity certificate programs provides you with the most current knowledge, skills and concepts for protecting critical cyber infrastructure and assets. Perfect for midcareer IT professionals but assuming no previous experience in cyber security. Cyberspace has transformed the daily lives of people for the better. The rush to adopt cyberspace, however, has exposed its fragility and vulnerabilities: corporations, agencies, national infrastructure and individuals have been victims of cyber-attacks. A strategic plan for cybersecurity education to get ahead of risk, bolster education and training in cybersecurity, establish a process and methodology of cybersecurity education for the current and upcoming workforce at CyberCommands and Industry is lacking. To achieve a competency and preformance based cybersecurity certificate progam of mastery education, Security University developed 5 hands-on performance based qualified network, assurance, wireless, application,SOC security classes,certiifcation exams and workshops stacked on top of 3 foundation IT security classes to complete an overarching Q/ISP, Q/IAP, Q/WP, Q/SSE, Q/CND Certificate Program of Mastery (CPoM). SUâ€™s CPoM teaches cyber warriors hands-on performance based security skills with real practicums for the job role in cyber dominance. SUâ€™s effective and efficient cybersecurity education methods for the non-traditional workforce result in an unrivaled cybersecurity workforce and citizenry capable of advancing America's economic prosperity and national security in the 21st century. Certificate Program of Mastery - Q/ISP® Qualified/ Information Security Professional (CoM) 7 weeks of instructor led classes and Q/ISP exam $11,000. SU’s innovative and intense cybersecurity certificate program provides you with the most current knowledge, skills and concepts for protecting critical cyber infrastructure and assets. Perfect for midcareer professionals but assuming no previous experience in cyber security. To achieve a preformance based hands-on cybersecurity progam of mastery education, Security University developed 5 hands-on performance based qualified network security classes and workshop stacked on top of 3 foundation classes that completes an overarching Q/ISP Certificate Program of Mastery (CPoM). SU’s CPoM teaches cyber warriors hands-on performance based security skills for the job role in cyber dominance. SU’s effective and efficient cybersecurity education for the non-traditional workforce results in an unrivaled cybersecurity workforce and citizenry capable of advancing America's economic prosperity and national security in the 21st century. "SU Q/ISP Certificate" program consists of 365 hrs 4 fundamental courses, 1 workshop, 3 elective courses (Security+, CASP, CISSP, Linux+ and complete 3 practical’s. Your organization can also use the "Qualified TrustMark" on your proposals and RFI/ FRP's with 3 or more Q/ISP's in your organization. 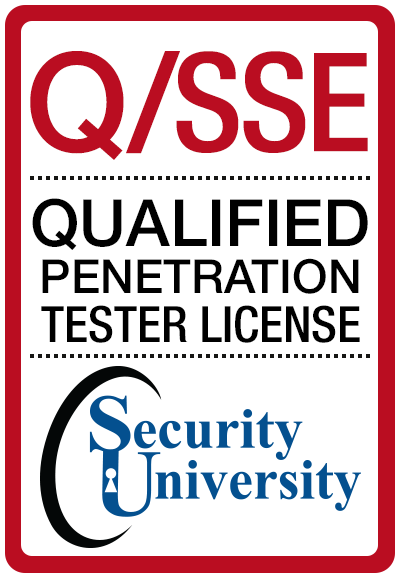 Earning your Q/ISP certificate makes a statement about your commitment to CyberSecurity. You'll be recognized as an individual who is qualified to implement information security, who is knowledgeable, serious, and is a dedicated professional - a part of the globally recognized Q/ISP Qualified/ Information Security Professional family.. Earning your Q/ISP certificate makes a statement about your commitment to CyberSecurity. You'll be recognized as an individual who is qualified to implement information security, who is knowledgeable, serious, and is a dedicated professional - a part of the globally recognized Q/ISP Qualified/ Information Security Professional family. When it comes to educating and qualifying information security professionals throughout their careers, Security University is the global leader in hands-on performance based cyber security skills training that validate your skills. Where Qualified CyberSecurity Professionals Happens. Your Q/ISP credential will open doors and provide networking opportunities at the Mastery level of Information Security, Information Assurance and Cyber Security. This certificate is obtained through Security University for the purpose of recognizing qualified individuals who have distinguished themselves as knowledgeable and proficient information security practitioner skilled in hands-on tactical security. The Q/ISP Mastery Level Certificate identifies and certifies qualified persons who subscribe to a rigorous requirement for maintaining their knowledge and proficiency in the Information Security/ Cyber Security Profession that have validated security skills and practical experience. Certification is awarded to those qualified individuals who achieve a prescribed qualified level of hands-on information security experience, comply with a professional code of ethics, and pass a rigorous examinations on the Q/ISP Body of Knowledge for information security/ cyber security. 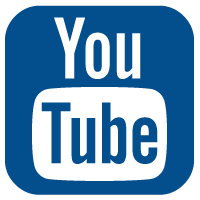 In order to maintain currency in the field, each Q/ISP must complete participation in research or study, attendance at recognized subject-matter training and professional educational programs, presentation or publication of information security papers, contributions to the information security Q/ISP Body of Knowledge, or service in professional organizations. Each Q/ISP must acquire 120 CPE continuing professional education credits every three years or have a valid Security+. CASP, CISSP or SAN’s certification of cybersecurity proficiency. .
Master the knowledge of security concepts, tools and procedures to conceptualize, design, and engineer secure solutions across complex enterprise environments.